← WERE YOU AN ABANDONED CHILD? REALLY? WHY THIS TOPIC? : Parents are right to worry about a child’s self esteem but too many parents and parent advisors think praise is the best pathway to high self esteem. 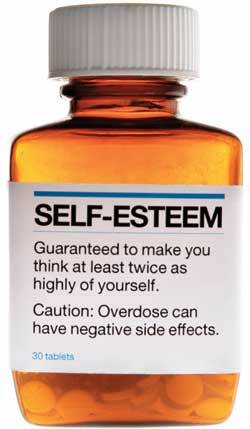 A recent article on the Kids Health webpage discussed self esteem and served as a prompt for this post. The hard part about developing a sense of achievement is that it usually involves frustration, failure, and sometimes tears. I have three suggestions for dealing with the bumps on the road to achievment. Tip one: Learn and practice Calming Breath. It is a simple self-self soothing exercise. Take a long slow breath in. Hold it until a bit of tension builds. Teaching a child Calming Breath can start when he or she is about two. You can teach “Big breathe in. Hold. Blow out.” It will take a while to learn and you have to model it. As soon as you see the child can follow those commands add counting to make the breaths longer and slower. Also count for the Hold. A count of three is a good beginning. Then move up. When that is mastered add the smile. New stuff is hard until it becomes old stuff. If you learn, you haven’t failed. Trying teaches you what you can and cannot do. We all have talents, but not all the same ones. Tip Three: Acknowledge pain. Short praises are best, followed by silence. Life is far from fair. Failing to get where you want is painful. Some days it goes your way, some days it doesn’t. Tip Four: Praise what matters: trying, good sportsmenship, kindness. Like this post or share it with someone who might find it helpful. You will be helping that person, yourself, and me. Karma dictates kindness is always returned. Click here to view all Daily Emotional Fitness Exercises. If regular practice of the 12 Daily Emotional Fitness Exercises does not improve the quality of your life, more might be needed. That is the time to think about counseling. This entry was posted in Parenting Issues and tagged Challenged Children, growing from failure, Katherine Gordy Levine, Parent advice, postaday, Practiicing kindness, resilience, Self esteem, self esteem in kids, self esteem in teenagers, teaching resilience, Thinking about what matters, Tips, When Good Kids Do Bad Things. Bookmark the permalink.